September can be one of the busiest months on our farms and ranches. 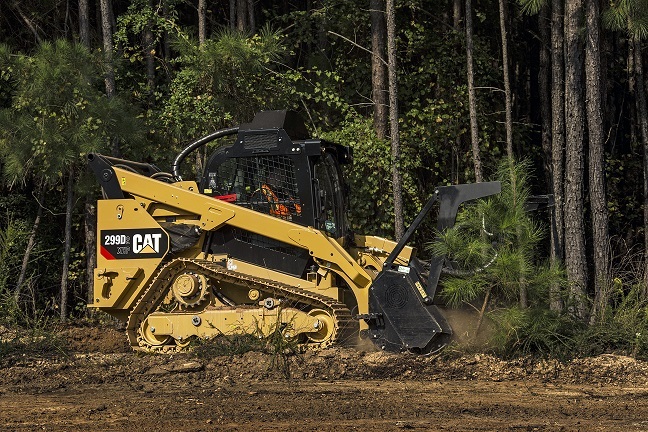 Our partner Caterpillar is sharing ideas for increasing productivity through attachments. Take a look at the "quick read" below. And, this week is National Farm Safety and Health Week. Here are 5 common safety mistakes and how you can avoid them. Stay safe out there! The trend is evident; modern day farmers and ranchers are diversifying their equipment, and many are replacing their tractors with machines that are commonly found on construction sites. A big push for this shift is the variety of attachments that can be used with machines such as skid steer loaders, compact track loaders and small wheel loaders to significantly improve production. Here are some attachments you may want to consider to help you get more done and how to match the machine to the attachment. Learn more. Learn more about Cat® machines for the agriculture industry. Show us how you are using construction equipment in your operation. Send us a photo! Please forward this email to a friend or family member who could benefit from this safety information. They can also subscribe here. Questions about how AAW is partnering with Caterpillar to benefit agriculture? Email pastpresident@americanagriwomen.org.